Compared to the market that was created by smartphones, for the tablets, it’s looking as a lean year in 2015. However that doesn’t mean that there won’t be some big models that can make you crazy. Tablets will outsell laptops and computers in 2015 and this means that you have to extend the definition of a Personal computer. If you’re someone who is a gadget-freak and is worried about the latest tablet that you should own, here are some choices that you can choose from. Have a look at the best tablets to check out in 2015. Nokia N1: Nokia has sold off their Lumia brand to Microsoft and they’re now shifting their focus entirely towards tablets. The N1 might be yet another Android tablet to add to the already big list. One more bonus which is expected is a price that is less than £200, which is not at all bad considering the different specifications. This tab will be much cheaper than the iPad Mini. 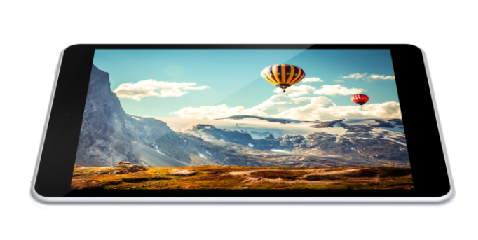 Lenovo Tab 2 A8 and A10: Lenovo has recently produced some of the most decently-valued tablets and the new A8 and A10, where the numbers refer to the size of their screens in inches, are some of the latest mobiles. Lenovo has had their hands both on Android tablets and hence you should consider reading the review of these two tabs for more details. The A10 might cost around £179.99 and the A8 may cost about £129.99. iPad mini4: By the time 2015 ends, the iPad mini will be in for a major update. The mini3 was really a mini 2 with a Touch ID sensor and hence we might be expected to watch out for a big hardware upgrade with regards to the iPad mini4. The iPad specification will remain the same and if needed better than the previous ones. Sony Xperia Tablet Z4: Sony is very soon expected to introduce its latest tablet in the Xperia range in 2015. The Z4 is planned to be hotly tipped to have a rather large screen to compete with the rumoured iPad Plus and this will most probably be around a 4K resolution. Hence, if you’re a gizmo or a gadget-freak, waiting to own the latest tablet, you can take into account the above mentioned choices. However, make sure you read reviews of each of them to be able to choose the best. Tablets are being increasingly used in classrooms – How are they helping children?